We always have interesting new events and promotions, and are proud to be involved with the community and contribute in a positive way. Keep up to date with whats been happening here. Are you a fan of Durian? 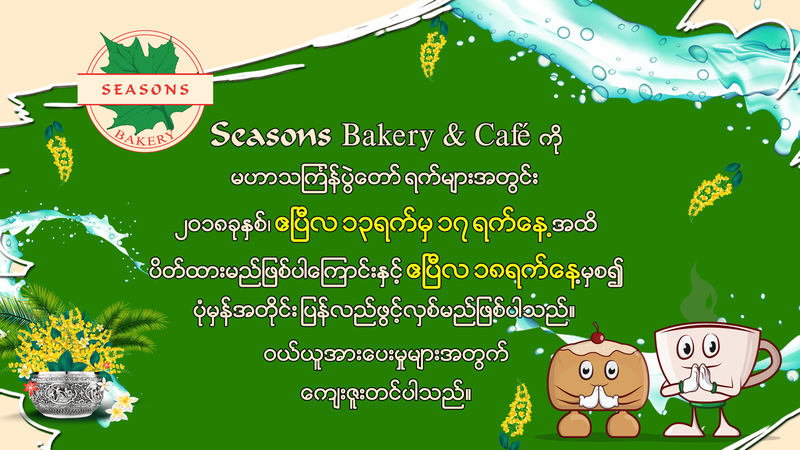 Our Seasons Bakery & Café has a Rich Durian Cake, which is made of fresh Durian. 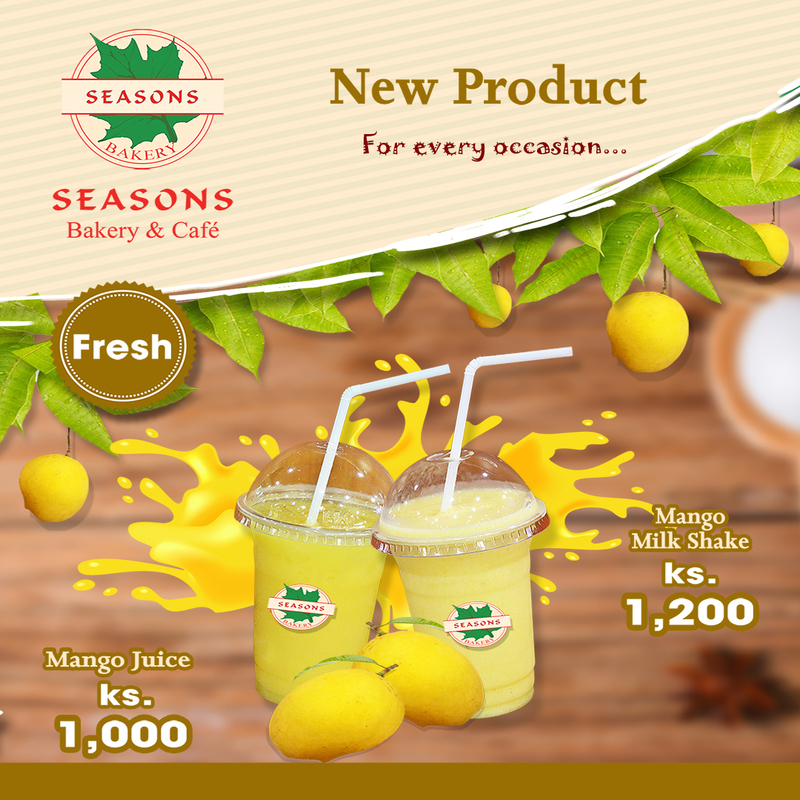 It’s Mango time and we have good news for mango fan, using the finest ‘Diamond Solitaire Mango’ (Sein Ta Lone) and our Mango Milkshake, Mango Juice will surely be a hit with mango lovers out there! Come try it today! advanced and enjoy your Thingyan Holidays. Thank you. It is time to celebrate your Thingyan special moment with our special Thingyan Cake. 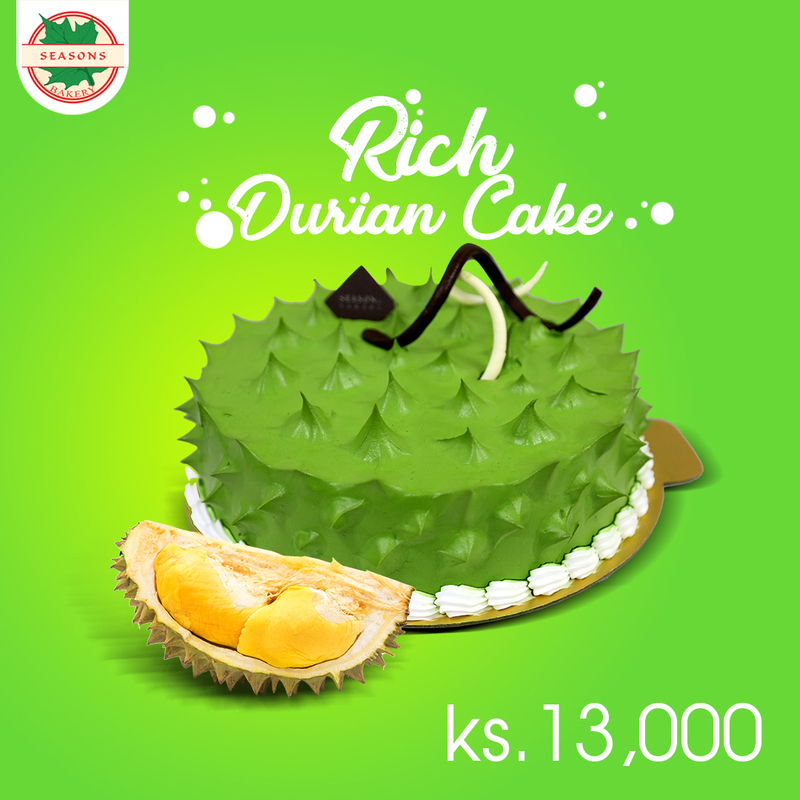 You can get our Thingyan Special Cake at Ks 13,000 only for 1kg at all of our branches. Happy Thingyan to all our beloved customers. Announcing our extended Operation hour from 7am to 12am (midnight) at our Seasons Bakery & Café Thamine & Waizayanda Branches from 1st April 2018! Great place to hang-out for chit-chat with friends here while grabbing some of our delicious buns or cakes!